Every month, I do 6 - 7 oncalls. Ever since I started doing ICU calls in September, my boss gave me more ICU than OT calls to train me. So this month, I had only one OT call. "ICU call: On Call and is in charge of the ICU for 24 hours. OT call: On Call and is in charge of the Operating Theatre for 24 hours." Ortho / Surgical / Obs Gynae but there will be only ONE anaesthetist. And that single OT call of mine was yesterday; 26th Nov.
And it was such a buuusssyyy day, almost like 6 oncalls being combined into one. I had an ECT (electro-convulsive therapy) in the morning. Then bleeding PP type IV - under GA! My OT went on and on non-stop since 9am and it was already 4am by the time I discharge my acute appendicitis patient and I thought I can sleep until Subuh. But suddenly at 6am, the staff nurse came knocking at my door and screamed "Doctor!! Ada fetal bradyy!!" I literally jumped out of my bed, struggling to switch the lights on, open the door, take the phone the staff nurse brought me and listening to what the O&G MO has to say, put on my scrubs, put on my tudung, look for my glasses and shoes - all at the same time. And as I am having active URTI at the moment, my throat was really hurting when I woke up I can't even talk properly. Fetal = unborn baby. Brady = slow. "Fetal Brady" is the term we use to imply unborn babies with slow heart rates. When an unborn baby has slow heart rate, means the baby is in danger. BIG BIG danger and he/she has to be taken out ASAP or the baby might die in utero. See the reason to panic now? I went out of my oncall room, didn't even care that I have not brushed my teeth or washed my face. While preparing my GA drugs, I called Shangker breathlessly, asking him to stand by while I induce the patient; either GA or spinal. When the patient arrived to OT, baby heart rate was 86bpm. Anything less than 110 beats per minute is low for a baby. And so, I had to GA the mother. 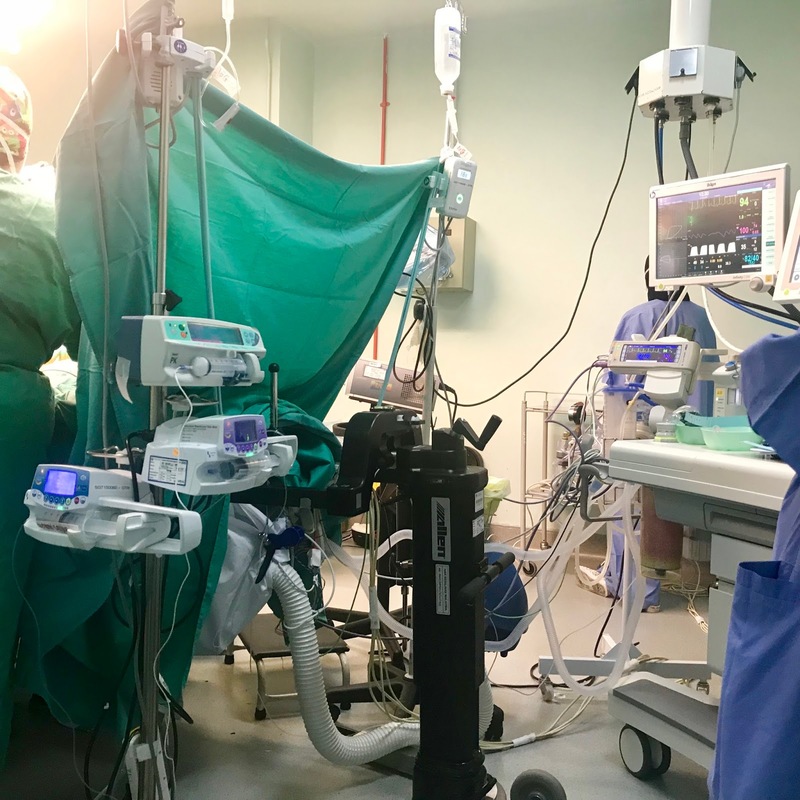 Giving general anaesthesia to a pregnant woman is one of the things I fear the most in this field. Anything can go wrong. And any mistake can cause the lives of two human beings and of course, lots and lots of paperwork ahead. And in the morning, there was a CME session that I had to attend albeit being very tired and was dozing off midway until suddenly Dr R attacked me with a question: "Akmar! Which GABA receptor does Midazolam bind to?" Nasib baik her mood was good this morning; x kena marah sebab cannot answer. Finish lah coretan of one of my worst oncall day. Anyone who has known me long enough from my high school years would have known that I like to organise events / gatherings / outings. I organised a post-SPM informal outing to Port Dickson with my classmates, the first (and only) informal high school reunion and various extra-curricular activities in INTEC and IMU as well. But I toned down in the UK. I was not actively involved in any student body in the UK as much as I thought I would. Mostly it was because I stayed in Preston, far from Manchester city. A little part of it was also because I needed to focus on my studies and at the same time I started dating my now husband 🙊 🙊 . Guess I wasn't that good of a multi-tasker. While I was a house officer, I did even less organising. I was quite active in the houseman society but due to time and energy constraints, I did not organise many events. In this hospital, I've participated actively in organising our latest project: The Organ Donation Awareness Week. I was very excited that time. Contacting people for tshirts / look for buyers / went to the nearest shopping mall to ask permission to do a roadshow there and many others. But I have not really realised it yet. And now, I am taking part in organising the Doctors Club Inaugural Annual Dinner. And I get excited just by the thought of organising it. I am in charge of the smoothness of the day, to contact a band to perform live music, and some other secret duties as well. The dinner is less than a month from now. There are so much to do but I am pretty sure we will all do well and will manage to pull this off. Then only now I realised, I really like organising events. The excitement and joy in me that was buried for the past 4 yrs just came out like a reservoir unable to contain the water in it anymore. But I hope I will not lose my focus on the things I have to focus on; my husband and my career. I am oncall tomorrow - need to sleep early and get enough rest. Now let's go through my Obs Gynae posting. This could have been the most emotional (and I was not the emotional one), loud, full of screaming ladies (doctors, patients and nurses) and medico-legally dangerous department. I tagged the longest in this department; due to the high off-tag requirements. We had to conduct 10 vaginal deliveries and episiotomies (a super hard task) and assisted in 5 emergency caesarean sections (among others). Why was conducting 10 vaginal deliveries hard to achieve considering the high birth rate in Malaysia? That was because during that exact period I was tagging with perhaps 8 other HOs - our hospital labour room was under renovation. We sent notices and diverted most of our patients to other nearest hospitals (and they hated us for it). We accepted only emergencies, and had to make patients sign disclaimer forms that they are aware of our "under renovation" status and will accept whatever shortcomings (which included less beds, no husband allowed during deliveries and no second class rooms). The birth rate in the hospital dropped by more than half during those periods. Hence for 8 HOs to get 10 deliveries per person (not to forget, we also had to fight for patients with the student midwives) was out of reach. They then reduced the requirement to 8 deliveries. For some obvious reasons, the department is full of women. Women everywhere. All the nurses were women. The patients were of course women too. I had only 2 male MOs at that time; the rest were women (which I think made these male MOs became womanly emotional too). "OK puan, satu dua tiga beraaaaakk!!!" Then if when we had to vaccuum or go for emergency caesar, we shout "Vaccuuummm!!" or "Caesaaaarr!!" If baby's shoulder stuck, we scream "Shoulder stuccckkk!!!" If baby born flat (not crying), we shout "Baby flaaaaattt!!!" If post delivery, the mother was still bleeding vaginally, the nurse will shout "Doktorrr! Patient ooozinggg!!" I think O&G was the only department that literally screaming for help is totally the norm, and happen pretty often. Not only that, the MOs were shouting every where too. "Houseman labour rooomm!!! Datang siniii!!!" And the labour room housemen will come running, while the housemen in PAC will start peeping into labour room; being kepochi Why? Why? Who screwed up? We term someone malignant when he or she is very destructive, hate-able and scary; just like a cancer. And there was this one relatively new malignant specialist in the department. Oh my God, mulut dia cabul gler. She can guiltlessly call us "Down Syndrome", "useless", "kau ni bodoh eh? ", "kau ni belajar kt universiti longkang ke?!" and things like that. With her eyes glaring down (or up) at you, it felt as if they are going to pop out of her eye sockets. She even said to a patient who didn't know she was pregnant: "Puan ni tak tengok cermin ke? Tak rasa ke u dah gemuk sikit?" 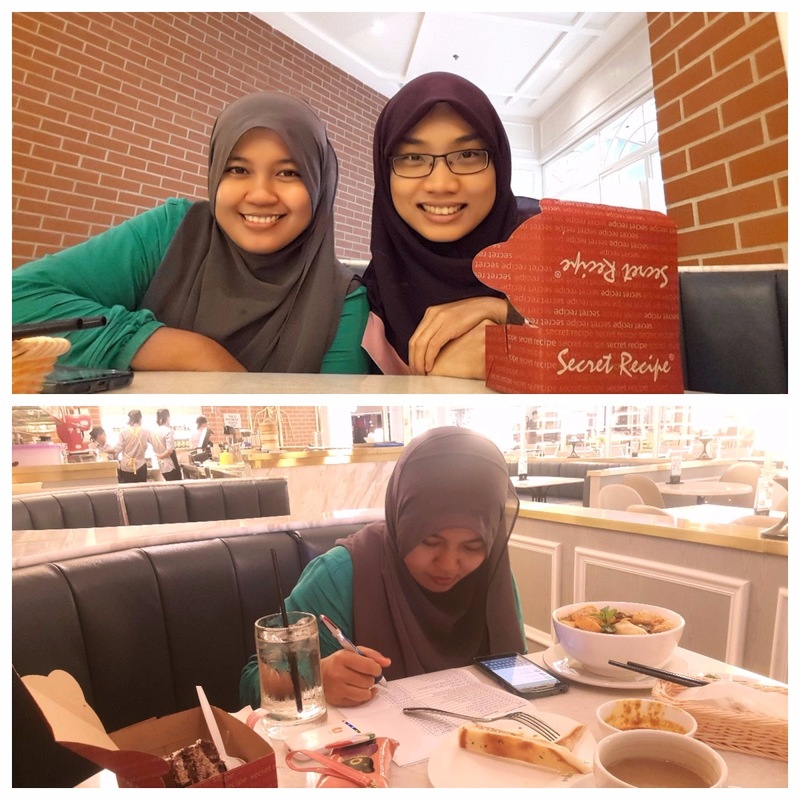 Outing postcall with Nisa during O&G time. Well, she was postcall. I wasn't! After about 2 months in Obstetrics, I then went on to the Gynaecology part of the posting. Gynaecology deals with women health, rather than maternal health. And God, I saw so many miscarriages so brutally happened. And they were nothing like in the television. Contrary to the Obstetrics part; the Gynaecology part was so not dramatic; even when there should be some. The news of miscarriage was broken to the ladies almost inhumanely. 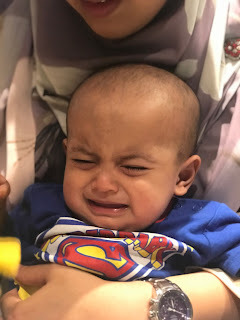 And I talked about that before, in my post titled "I am sorry I can't save your baby". I'm sorry, we doctors sometimes can be very savage. Let's pick up from where I left off. Read the Part 1 here . The horrible morrible Medical posting. Second Posting: MedicalWell, this was hellish and exhausting. I lost 5kg within the first 2 months, effortlessly. I was the skinniest, slimmest and already someone's wife. My tagging period in Medical was hell. I hated some of the seniors in my department at that time, especially the leader. Leaders arrange our timetables. And she, shamelessly gave two days of holiday per week to herself and her friends because they "have to do 24 hour shift" while we taggers get no off day. In the general medical ward, there were 34 beds and they are almost always full. She put 3 taggers in each ward with only one non-tagger (who was also the most junior one). Of course, things get very messy. Where were all the other non-taggers? In the dengue ward, obviously the less busy ward compared to gen medical, and in ED - it is busy too there, I know but they get 2 days off per week? Such heartless woman the leader was. I don't care if she reads this post. She already know I don't like her. Even though I was second posting at that time and some of the other taggers were 4th posting, it was still hell-ish. It was like the blind leading the blind. I had to be in the ward before 6am, and can only leave the hospital most of the time after 11pm. I drove in auto-pilot mode. I only realised that I reached my destination, completely forgotten how I arrive there. If Akmal was driving, I'd be sleeping in the car; even though our house was only 10minutes away. To off tag, we have to present a case during morning passover and we also have to pass a viva by Dr Kang (the Specialist in charge of house officers). I passed the viva, but I couldn't present during morning passover because the passover was only once a week. To present, we need to clerk (in layman term: interview) the patient, manage and then discuss our management. That is what it mean to "present a case". I prepared hard for this one case to present during passover; a pulmonary TB case. A very very difficult one. But I was so determined to present it even though I know I will be questioned like crazy and I wouldn't have the answer to most of the questions. But I was so desperate to off tag. I went home past 12midnight that day. I cried a bucket. I started crying non stop in front of Nisa in the room because she asked me, "Kau OK ke?" I missed the morning rounds because I was crying in the room. Because that means I will have to hold for another week and prepare one more case to present to off tag. HE helped me BIG time. On the day that the passover got cancelled, I received another case. A considerably simpler one. A HIV positive patient with chronic diarrhoea. And I went through the case with a specialist already. And the next morning, Dr Kang decided to hold the yesterday's cancelled morning passover. Hence I got the opportunity to present this HIV with chronic diarrhoea patient! 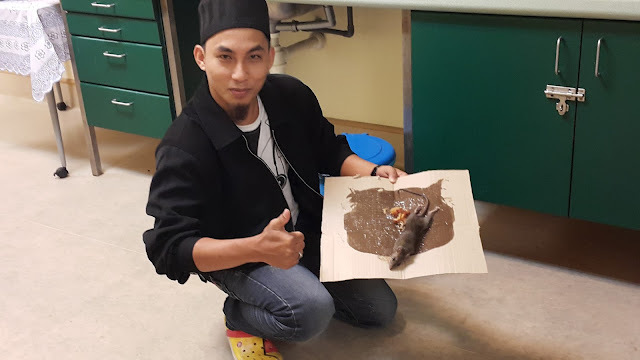 And to make it more blissful, Dr Kang was the only specialist present during that morning passover (or rather during my presentation time). The other specialists came in late while the scariest ones (Dr M and Dr M; the two iron consultant ladies in Medical) were absent. Hence I was questioned only by Dr Kang. And as sarcastic as he is, he is also very kind hearted and practical. He didn't bury me in the dung. And with that, I managed to off tag. Finished my 2 weeks tagging period. Yes, two weeks only. But it felt like forever. The rest of the 4 months were not without its own sufferings. During 4 months of Orthopaedics posting, I inserted not even 10 branulas on my own. In Medical, I had to insert 10 branulas per day. Makan-makan at the end of the posting. I could not fathom how Akmal went through Medical as a first poster. He was in it, all on his own - we weren't married at that time. He didn't have anyone to care for his food. Well sometimes I took his shirts to laundry and iron them for him. But that's about it. But also perhaps it was a blessing in disguise. He didn't have a wife he had to take care of during his first posting. I was a fiance but I go back to my parents', my food were taken care of by my parents and he didn't have to worry about me. He gave his undivided attention to his work. 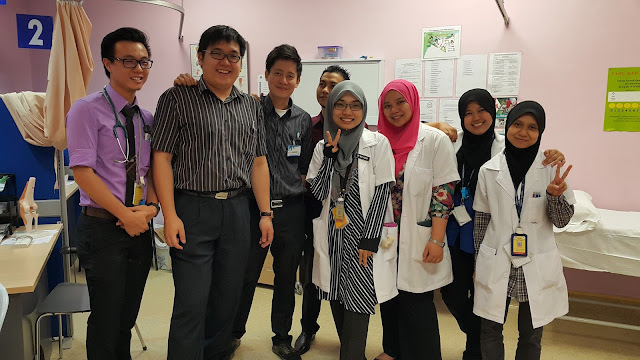 In Medical posting too that I made some good friends; as "we were in this together". Lembab sama-sama, kena marah sama-sama, balik lambat sama-sama and stuff. But in Medical too that I met nasty people. People who while working long shift (the most important person of the day), can still sleep in the room in the afternoon. At first I thought she was being super-efficient. But it turns out she was neglecting her job! Also met selfish shameless leader. Also met "I deserve your utmost respect, and you should treat me like the biggest boss" kind of boss. What was good about Medical posting then? One thing for sure....my learning curve went up exponentially. And my confidence too. I had to face so many things in Medical that once I graduated that department, I felt so much better and matured, and experienced. Come what may, I can face them. If I survived Medical, I can survive anything. Which brought me to my third posting: the ever emotional department Obstetrics and Gynaecology. 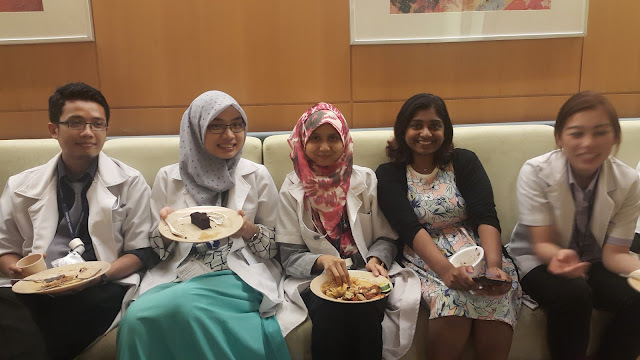 This was our Medical farewell makan-makan. Held AFTER I left the department though because we didn't have time to organise it WHILE we were in the department! This is a very belated post. But I still feel like writing about it. Those 2 years; were hell in heaven. More heaven than hell yah. Program Transformasi Minda (PTM)My career with the public service started off with a 5 day course in Ibis Hotel C180 - which was right in front of my hse 😒 😒. Gone were my dream of going for a course in a beautiful far away hotel. But that was a blessing actually; for I managed to ask my brother to send me my sportshoes (we have that PE session every morning! ), and some colouring materials for our group project. The course gathered new house officers from several hospitals around Klang Valley; Hospital Serdang, Hospital Klang and I can't remember one more; I think there was one more hospital involved. Was it Ampang? Most of the content went down the drain actually. I didn't remember much of it except for the dress codes and the tindakan tatatertib. And as usual of course, a group project at the end; a play. There you go, my team mates doing our fair share of colouring. The Introduction/OrientationWe then had another 5 day orientation in the hospital level. This one introduces us to the anatomy of the hospital, how to get our parking passes, how to ask for the 10% staff discount in the hospital cafe, who were the HO leaders of each department and stuff. In a life span of a house officer, he will have to go through 6 postings; Orthopaedics, Medical, Obs Gynae, Surgical, Paediatrics, Emergency Dept / Anaesthesia / Primary Care / Psychiatry (not arranged in order). The newbies who are going in for their first postings are called, well, "first posters". Then they go on to become "second posters", "third posters" and so on until they are the "sixth posters". First Posting: OrthopaedicsI was blessed to be assigned to Orthopaedics first. There were about 4 or 5 final posters (first posters look at them like saints) in Ortho at that time. Let's see if I can still name them. They were Angeline, Edmund, Faizal, Firdaus, Ganesan (not final poster at that time but very very reliable). They were really helpful and kind hearted. Orthopaedics is dubbed as one of the most chillax department hence if a final poster is placed there; it is heaven for them. Like totally. Which is why I think these seniors were very nice - they were not pressured, they themselves were calm. Thus, come what may, come whatever trouble this first poster face, they can help. As for me, it wasn't. First posters will never feel any department is a chill one. I cried for the first time in Orthopaedics. I got scolded so much by Mr P for grinning when he was bashing me during the morning passover. Really I didn't mean to grin. I just didn't know what facial expression to make. I was so terrified at that time, to the point that I grinned. And it only fired him up even more. But to be fair, he smiled like a sweety pie to me during my last posting and even said "Hi!" My last day in Ortho. It was a clinic day and my MO let me off early because I had wedding preparations to do! I think I'd better stop here for this post. It will get too long if I put the stories of my second posting: Medical here as well. The department itself bore too much of agony for me. Of course, there were fun bits as well. Let's start writing part 2 in a while. Oww yeaahh.. This was the preparation I was talking about! 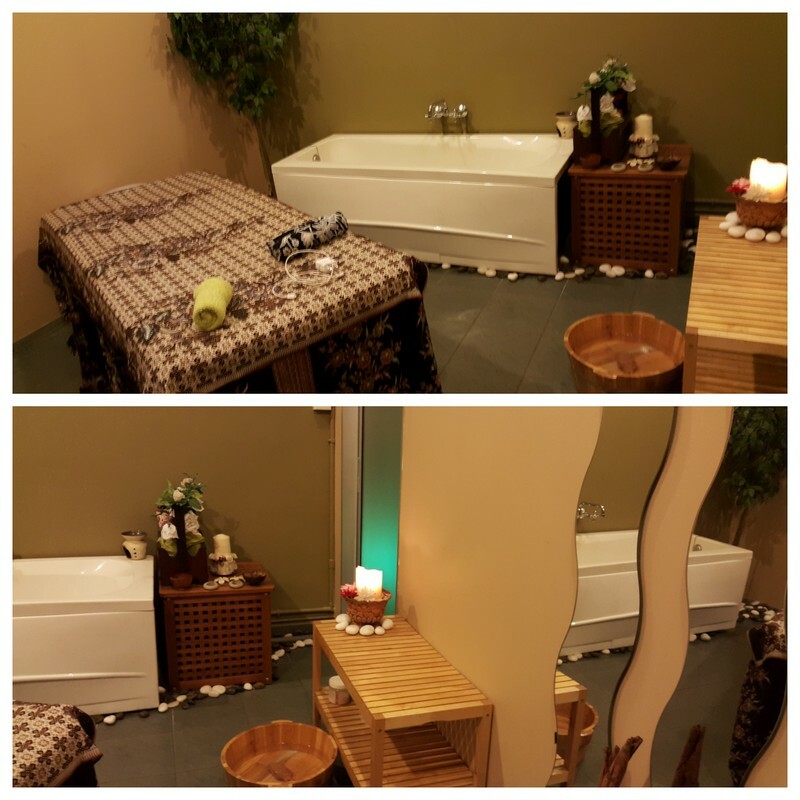 I went to a spa for my pre-wedding preparation. The first but unfortunately also the only spa experience for me as of now. 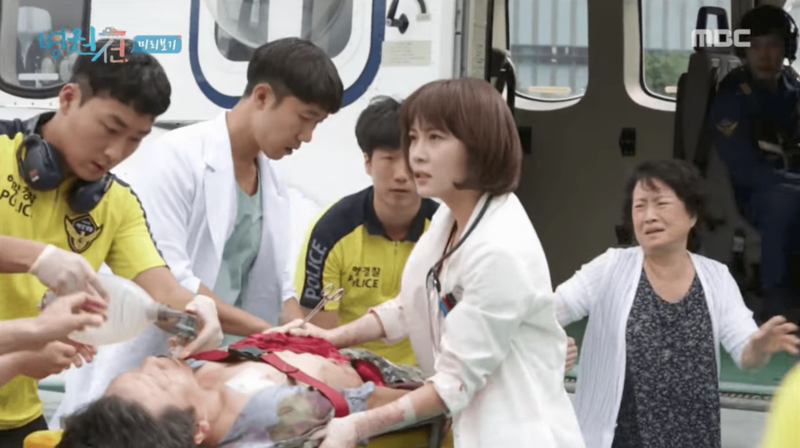 I've just finished watching Hospital Ship, one of the latest korean drama. The korean drama part, memang daebak! I've always loved Ha Ji Won. But the medical part, crappy sangat! I can't stop being annoyed with every medical scenes. Tak habis habissss doctors and white coats. I guess it's because they cannot portray a doctor easier than a person wearing white coat. But to the extent that the doctor HAS to wear white coat even to go out buy food? A lot of people don't understand just how hot wearing the white coat is. And that it is a big infection risk as well. In the UK, doctors don't wear white coats anymore. In Malaysia, most of the medical officers do not need to wear white coats; only the house officers. So yes, doctors are still doctors even without the symbolic white coat. 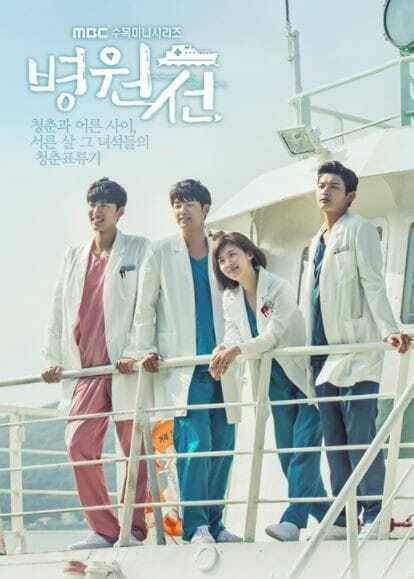 I hope there will be a Korean drama that will portray doctors without white coats. Dr Song Eun-Jae (Ha Ji Won) is a general surgeon. Hancus, all the doctors are doing everyone's job as if it is their specialities. It is acceptable if they are doing it in situations of emergency. However it is not acceptable that they endangers peoples' lives by doing that. She performed a C-sec to a mother with cord-prolapse! That is a major major O&G emergency. Bukan senang nk GA kan pregnant ladies, and the baby need to be taken out ASAP; and at the same time stop major bleeding. Scenes like this will only make the society more confused. Dh la, stop babbling for now. When I was in IMU, I had this one Korean friend. I asked him what is the thing he misses the most about Korea. To my surprise, his answer was not the food, the culture, the weather, or even his family. His answer was: THE INTERNET. The internet in Korea, according to him was super fast. And I can imagine that. Here, in this not-so-tiny town in Johor, I dont even have proper access to the internet. Heck, my housing area is not even on Google Map! If I search for my own current location on Google Map - I will be in the middle of a rubber plantation. I cannot subscribe to Telekom for even a landline, let alone getting Streamyx or Unifi here. Thank God I am using Webe Mobile, the coverage is pretty strong near here. Sometimes the coverage is very strong, I could watch episodes of Korean drama on my phone. But sometimes the coverage is very weak until the person on the other end of the line claims my voice sounds like I am drowning in deep water. For house internet, I subscribed to Webe Broadband. It cost me RM59 for 30GB worth of internet. But we usually finished the quota by 20th of every month - or earlier. This month, I ran out of my 30GB quota already hence I am using a super slow internet now. And it's only the 14th. 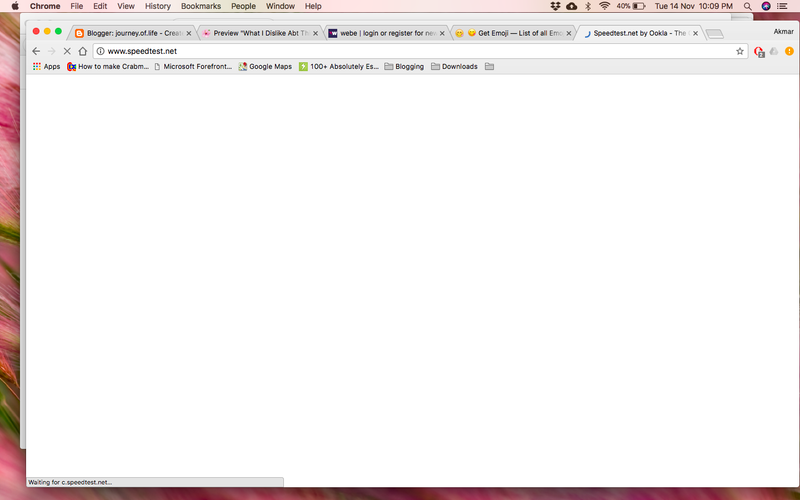 Even the test itself takes super long to load. Imagine trying to write, preview and then publish this post. Hence pardon me if there are grammatical / spelling errors. I can't read and re-read them before publishing them. It just takes too much of my time. Hence, I'm going to end this post here. And suddenly I wonder, how is Park Sang Hyun doing now? This week is my KL week. Since I have been transferred to Johor, Akmal and I take turn to go balik kampung. And I purposely chose this weekend because Syaira is going to be in KL too and Alia is going back to Bahau next week. 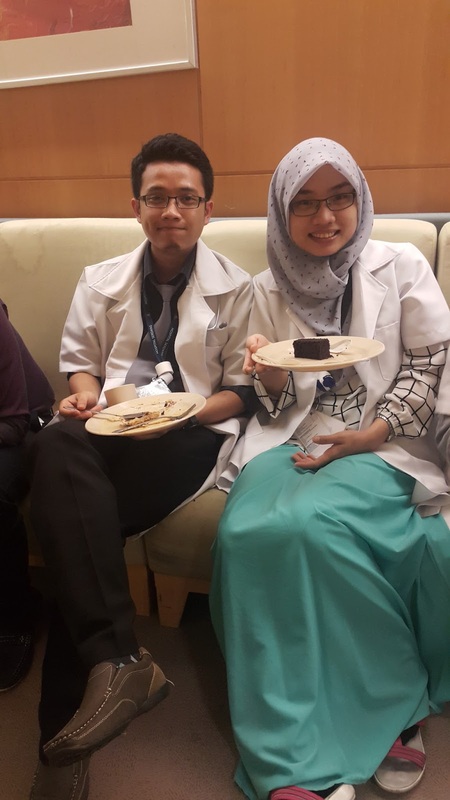 Syaira, Alia and I were mates since our first posting in Orthopaedics. So janji jumpa in KLCC since it is the easiest place to get to for Alia. And to my excitement, dah maju rupanya Balakong ni! We already have an MRT station 5km away from my mum's! Excited naik MRT and LRT from Balakong to Pasar Seni then to KLCC. The trip from Balakong to KLCC cost RM5.20 per person per way. So for the two of us; it cost us RM20.80 in total. The MRT memang cantik, and cold and bigger than the LRT. The stations are bigger, and cleaner and of course, newer. Our rendezvous point was the KLCC Concourse level surau. Sampai2 je Alia and Syaira were attending to their babies. It never crossed my mind to step foot into a nappy changing room. To my surprise, memang cantik and well equipped nappy room in KLCC. There is a mini playground, a few baby stations and a sink with water tap and soaps + a hot water dispenser. 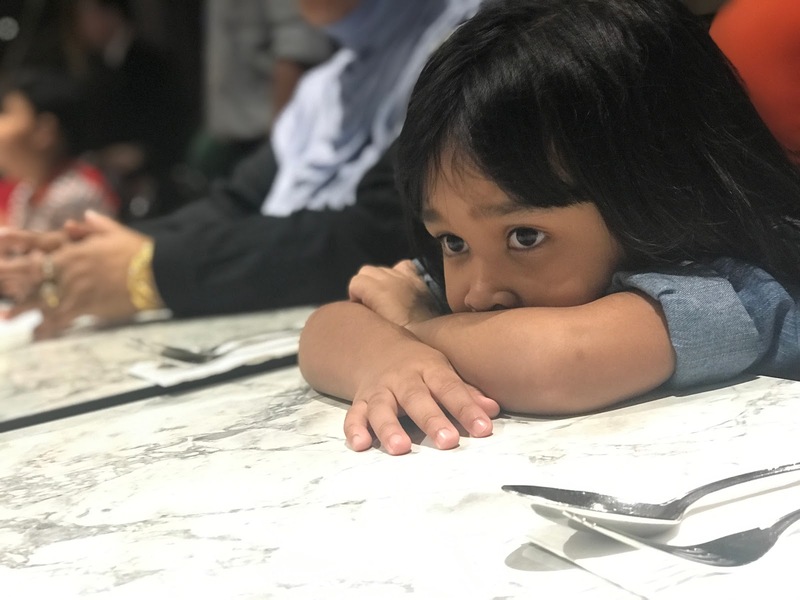 Syaira's eldest; Safiyya was playing in the playground with some new friends so she got really upset when Syaira wanted to leave the nappy room after cleaning baby Ruqaiyyah. She sulked the whole way to Madam Kwan's. In fact she was still sulking while choosing food in Madam Kwan's. 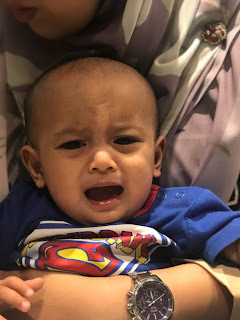 And soon enough, Alia's baby Aqil pulak ngamuk2 sebab penat + lapar susu. Syaira's Safiyya pun merajuk at the same time. Anyway, we survived the session well. Baby Aqil also feels happy enough that he wanted to play with Akmal - for a short while. The whole team; with our empty plates. 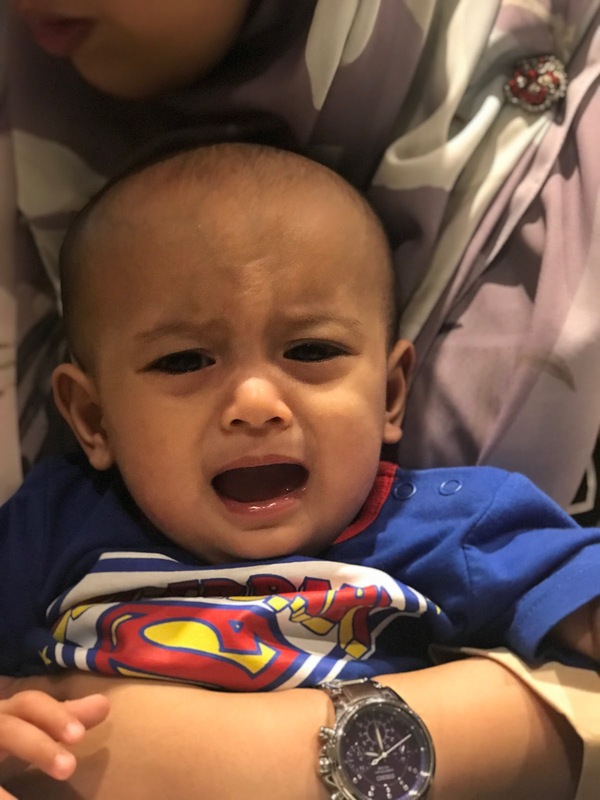 Kenapa post ni title "Budak Bandar Again"? Because I felt so cosmopolitan-ite; taking MRT and LRT to KLCC, trying out cosmetics in the store, bought a Hazelnut Americano from The Coffee Bean. Just that kali ni I didn't sit in a coffee shop, using my Mac looking swag. And ooohh!! 11.11 sale is comingg! !